The Mars Global Surveyor (MGS) Mars Orbiter Camera (MOC) continues to provide a stunning array of images that show the red planet to have a very diverse collection of surface textures and properties. This picture shows a 3 kilometers (1.9 miles) by 4.4 kilometers (2.7 miles) portion of the floor of Melas Chasma. 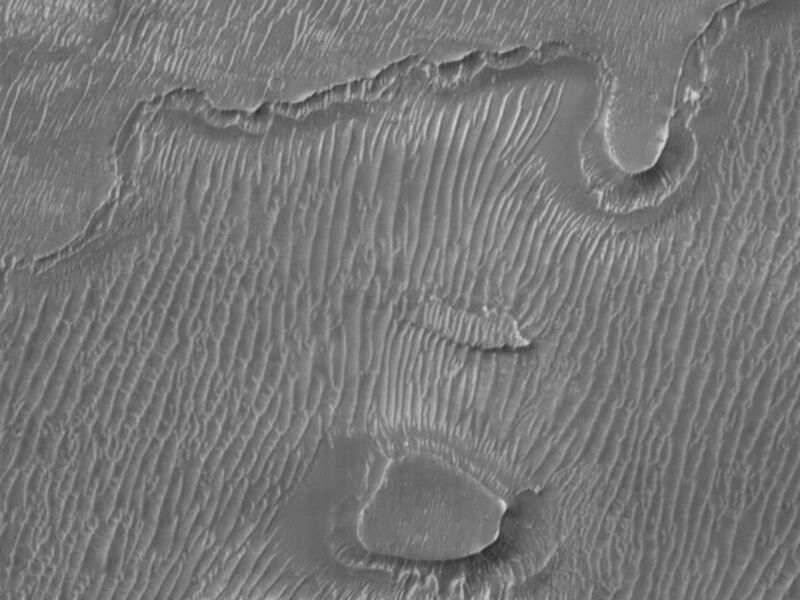 Dark sand dunes spaced 55 to 60 meters (~190 feet) apart dominate the floor of this portion of the Valles Marineris canyon system. 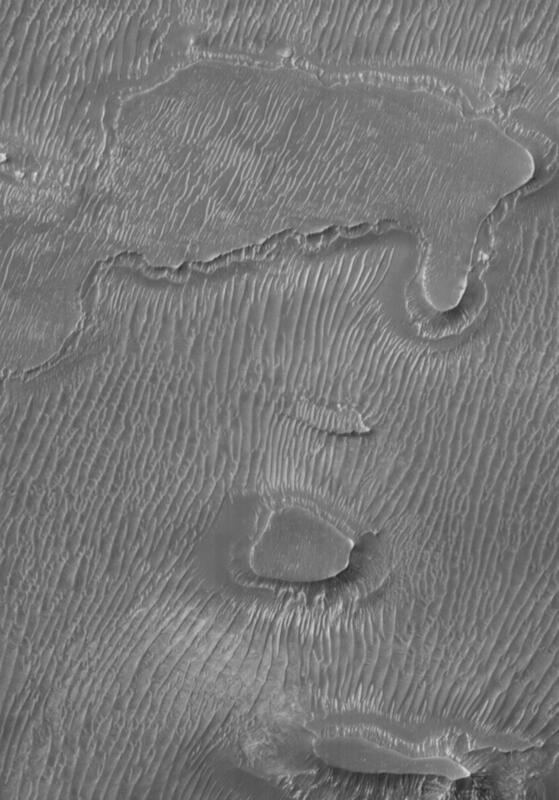 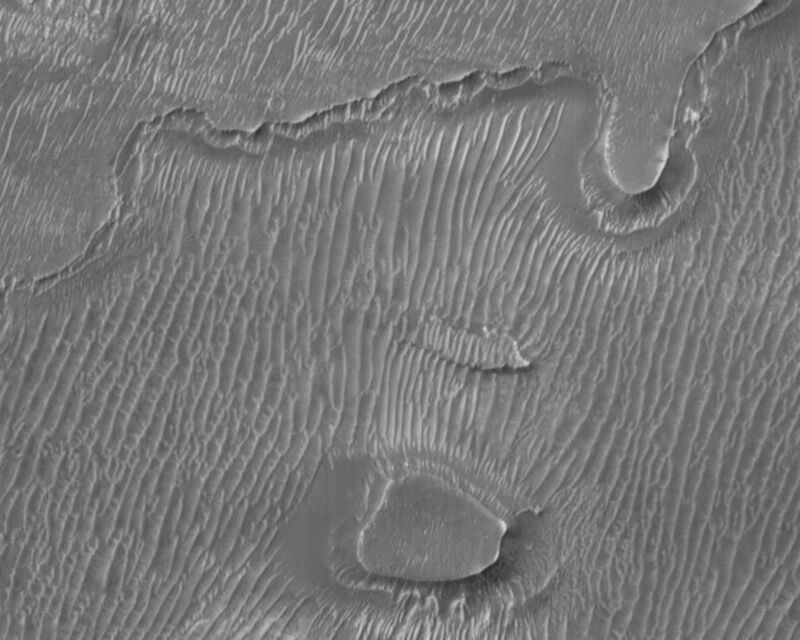 Smaller ripples are also visible in the troughs between some of the dunes, perhaps indicating a modern, dynamic eolian (i.e., wind-swept) environment. 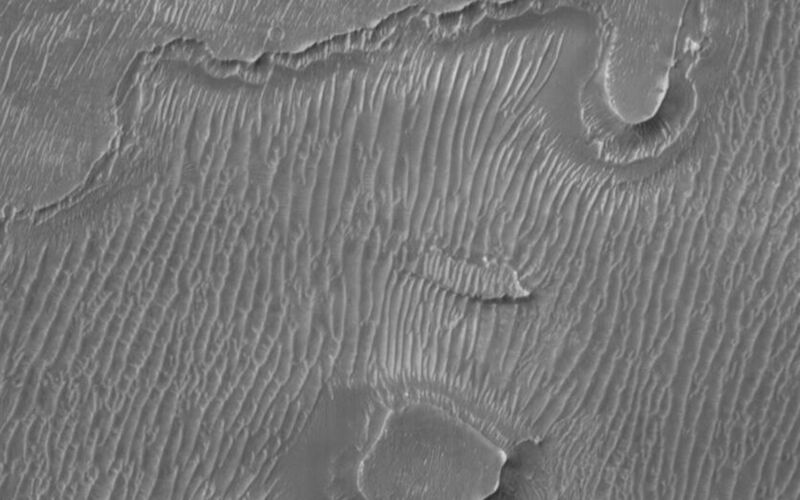 Illumination is from the upper left.